We have as many CR 60 tonne conventional drive and idler welding rotators as you need, depending on how thick the vessel wall is to spread the load to preventing denting, or if extra idlers are needed for extra long cylindrical vessels. Because this design has raised and enlarged wheels it allows for vast clearance in between the wheel and the frame, making these the perfect rotators for vessels with protruding fittings along the body. 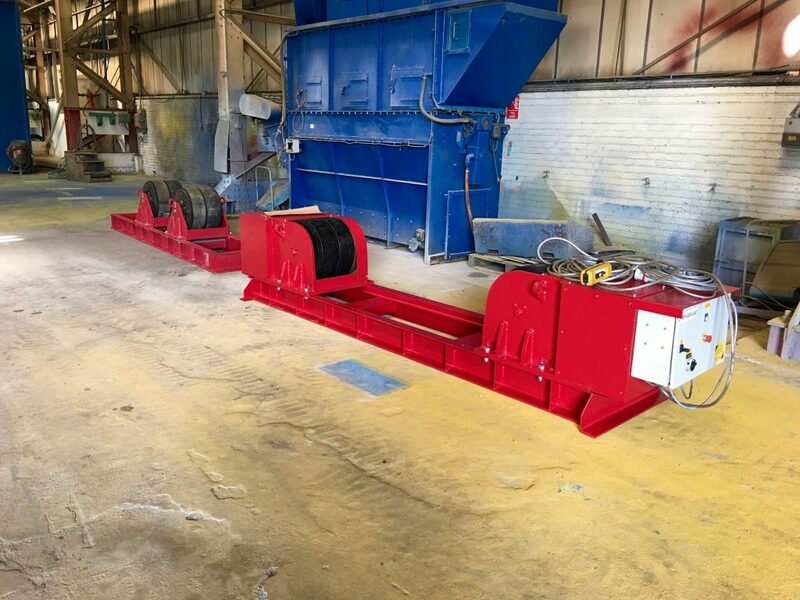 As we also manufacture, design and build our rotators so we can produce what ever specifications you desire, whether you require steel wheels, extended frames, raised and larger tyres or anything that relates to your job.